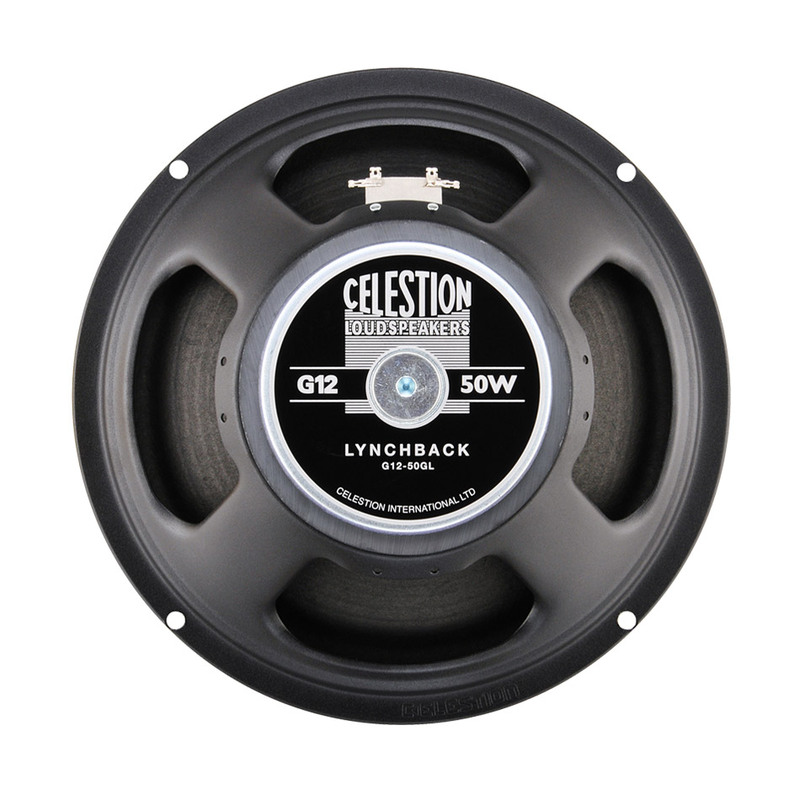 Created to meet the exacting standards of iconic metal guitarist George Lynch, the G12-50GL Lynchback speaker delivers the legendary and much-celebrated vintage tone of a G12M “Greenback” with the additional capability of producing a harder, more aggressive sound on demand. Not just for high-octane shred-metal, the Celestion Lynchback delivers responsiveness, clarity and superb dynamics. By blending a unique combination of sonic elements taken from models introduced throughout Celestion’s history, we designed a speaker that provides a warm and detailed lead tone, coupled with an up-front attitude just bursting to deliver punchy, effective rhythm sounds.